The global market leader in portable storage solutions, WD has launched its new easy-to-setup My Book Live home network drive, which designed to centralize all your digital media in 1 central location for everyone to access and enjoy from the network-connected Mac and Windows computer, offering users a seamless video streaming to any DLNA-certified multimedia device thanks to its built-in DLNA media server, capable of delivering transfer speeds up to 100 MBps by leveraging the latest processor technology. In addition, WD My Book Live also works with newly-announced WD Photos photo viewer app for iPad, iPhone and iPod touch remote accesses photos stored on the My Book Live, available as a free download now from the iTunes Store. With WD’s free remote access service, users are allowed to securely access and share the files stored on the My Book Live from anywhere over the Internet. 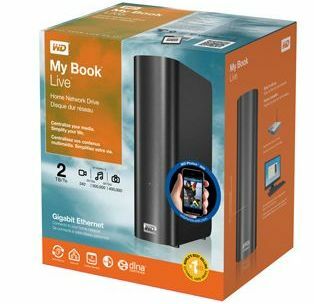 WD My Book Live home network drive that able to perform automatic backup tasks with the included WD SmartWare software for Window is offered in 2 variants of storage capacity – 1TB and 2TB, are now available for around $170 and $230, respectively.